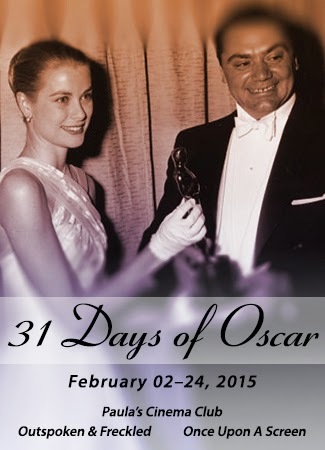 As part of the 31 Days of Oscar Blogathon hosted by Aurora of Once Upon A Screen﻿, Kellee of Outspoken and Freckled and Paula of Paula's Cinema Club, we are looking at the interpretations of real life historical figures in film that have seen the actor win an Academy Award for their performance. With this year marking the 87th year of the Academy Awards, the much sought after golden man has now been presented to over 330 actors for their outstanding performance in a motion picture. In the film year leading up to the awards, there are always roles which people like to dub "Oscar bait" and more often than not these are in films based on real life events. However, from the incredible number of awards which have been handed out over the years, only 54 of them were awarded to actors playing characters based on historical/ real life figures. A great deal more have been nominated for Oscars, but an actor's ability to perfectly channel a real life figure in a film is worthy of the ultimate prize. Of the 54 performances of this type, 29 winners were males and 25 were female. 36 were for a lead role, while 18 were for supporting. It may not come as a surprise to many that the type of character most represented in this group was one involved in show business, with royalty and nobility not far behind. Both Daniel Day-Lewis and Jason Robards have won two Academy Awards each for roles in which they were playing historical/ real life figures. With the next Academy Awards coming up on February 22, there is a high probability that one of the winners will be rewarded for portraying someone who is a noted member of society. Here we will take a look at the past winners and most admired performances in this category since Oscar was first awarded on May 16 1928. 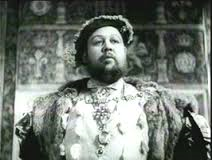 One of the most notorious and formidable monarchical figures in history, King Henry VIII has been the subject of dozens of portrayals in both film and television, yet it was Charles Laughton's performance in The Private Lives of Henry VIII that set the benchmark and won him the Academy Award. 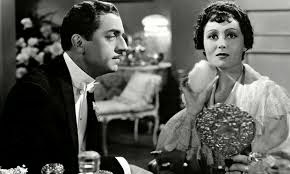 A fun fact about this film is that Laughton's wife of four years at the time, Elsa Lanchester ( who is widely remembered for her role in The Bride of Frankenstein) played Henry's fourth wife, Anne of Cleves. Unlike the marriage between their characters which lasted only six months, Laughton and Lanchester were married until his death in 1962. Luise Rainier won the Academy Award for playing the Polish/French stage performer wife of Florenz Ziegfeld, Anna Held in The Great Ziegfeld. Rainer showed her incredible versatility in this role with her extremely impressive acting performance and musical talent. Until very recently, Rainer was the oldest living Academy Award winner (she passed away on December 30 2014 at the age of 104) and was the first actor to win back-to-back Oscars when she won her second Oscar for The Good Earth the year after The Great Ziegfeld. 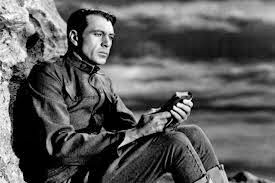 As World War II raged on, the Academy awarded Gary Cooper for his role as the war hero Alvin C. York in Sergeant York. 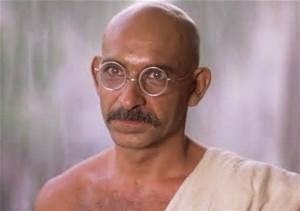 It was a role that was acclaimed for Cooper's emotional performance, but also one that many people could relate to at the time. York was a pacifist that became a hero in the first World War and there were thousands around the world that believed that war was not the answer, but had to take part in some way. 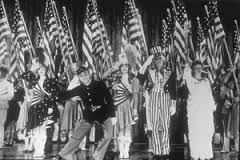 James Cagney is mostly remembered for his tough guy roles in films such as The Public Enemy and White Heat, but it was Yankee Doodle Dandy that won him his first and only Academy Award and proved that he was a true triple threat with his singing and dancing talent. Cagney portrayed George M. Cohan, the American entertainer, composer and producer, in the entertaining, enjoyable and loving way that caught the Academy's attention and made cinema goers fall in love with both the character and the actor. 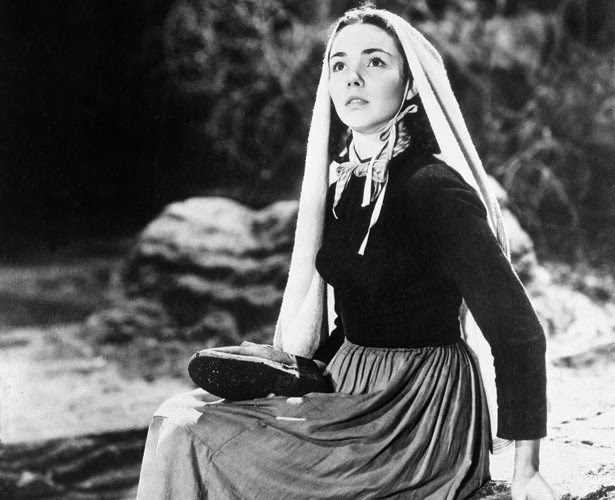 No matter what faith you believe in, your heart would have to be one of stone if you were not moved by Jennifer Jones' Academy Award winning performance in The Song of Bernadette. Jones played Bernadette Soubirous, the young peasant girl who witnessed visions of the Blessed Mary in a cave in Lourdes with such beautiful innocence and incredible purity. Jones was awarded her Oscar on the evening of her 25th birthday. 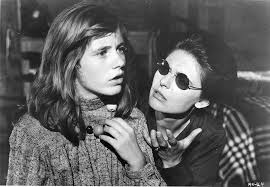 1962's The Miracle Worker was a powerful film that explored the relationship between Helen Keller and her companion/helper, Anne Sullivan and earned both Anne Bancroft and Patty Duke Academy Awards. Bancroft and Duke were outstanding in performances that were intense emotionally and physically and had tremendous on screen chemistry. When Duke won the Oscar, she was only 16 years old which made her the youngest recipient of a competitive Oscar at that point in time. 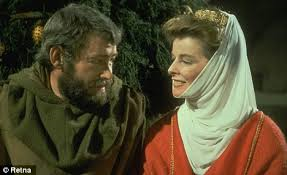 Playing the 12th century monarch Eleanor of Aquitaine in The Lion in Winter, Katharine Hepburn earned her third Academy Award. Hepburn became the domineering mother and formidable, hot-headed queen in every way.Hepburn currently holds the record for winning the most acting Academy Awards (she was awarded four Oscars, all for leading roles), but was not present at any of the ceremonies to accept them. 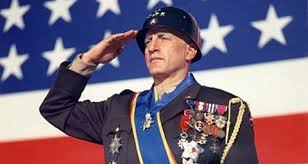 General Patton had a larger than life personality in life and on film George C. Scott brought this personality back to life in spectacular style in Patton. Although Scott was indeed awarded the Best Actor in A Leading Role Oscar and Patton's producer, Frank McCarthy accepted the award on the night on Scott's behalf, he refused the award as he did not want it to feel as if he was in competition with the another nominees. The studio returned the award the day after to keep with Scott's wish. Robert De Niro's brilliant transformation into former boxing champion, Jake LaMotta was truly remarkable and earned him his second Academy Award. He portrayed LaMotta on screen in such a way that was incredibly entertaining and intriguing, a fine tribute to a fascinating life. Raging Bull is one of nine films which De Niro has completed with director Martin Scorsese and he was nominated for three of these nine films. De Niro has currently been nominated for seven Academy Awards and won two. The Academy Awards of 1980 saw both the male and female leading role Oscars taken home for performances of real life characters. Sissy Spacek gave an absolute powerhouse performance as country singer, Loretta Lynn in Coal Miner's Daughter. Spacek's character of Lynn develops a great deal throughout the film and the way in which she portrays these changes was wonderful, as was her musical ability. The public always prefers to remember the stars of Hollywood's Golden Age in their prime, as their lives were not as spectacular as they aged (for the majority). 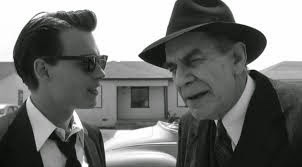 However, Martin Landau's portrayal of Bela Lugosi in his later years in Tim Burton's Ed Wood is as respectful as it is heartbreaking. Landau gives a brilliant and incredibly realistic, loving and sympathetic portrait of the original Dracula actor and was awarded Best Supporting Actor by the Academy. 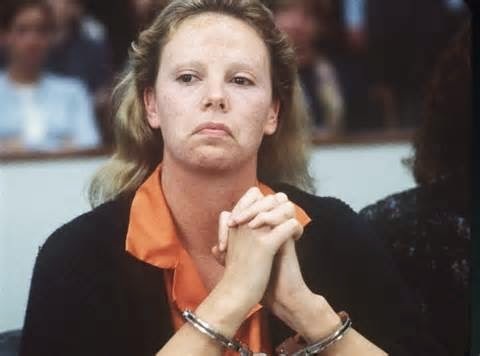 Charlize Theron made the incredible physical transformation into serial killer, Aileen Wuornos for Monster, but it wasn't just her change in appearance that won her the Academy Award. Theron's performance was absolutely superb as it was haunting, unsettling and intimidating in the same way that Wuornos was in life. 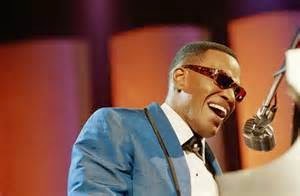 Jamie Foxx gave a brilliant portrayal of arguably the greatest rhythm and blues musician of all time, Ray Charles and showed that his talent stretched from the dramatic to the musical in Ray. Foxx won the Academy Award for Best Performance in a Leading Role, but the same year was also nominated for Best Supporting Actor for Collateral. 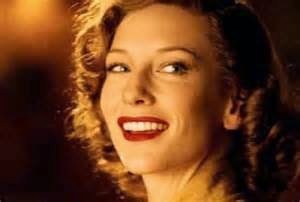 In The Aviator, Cate Blanchett completely channelled an actress who also had an Oscar winning role as a real life character in her lifetime, Katharine Hepburn. Blanchett conquered every mannerism and the pronunciation of Hepburn to take home her first Academy Award for Best Supporting Actress. Blanchett has now been nominated for six Academy Awards and has won two. The role of the eccentric writer, Truman Capote has been played many times over the years and has proved difficult to perfect. 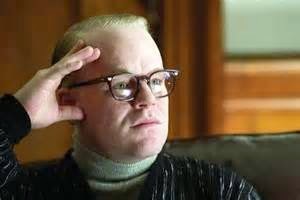 However, the late Philip Seymour Hoffman channelled him to perfection in Capote and was awarded his only Academy Award for his wonderful ability to play an eccentric character in a subtle, but powerful way. 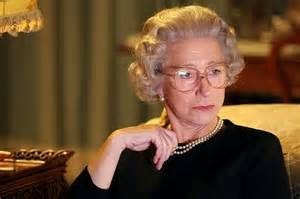 Helen Mirren's portrayal of our current monarch in The Queen was incredibly mesmerising and earned her her first Academy Award. Mirren eerily physically resembled Queen Elizabeth II, but her performance brought a greater understanding of the emotions that are displayed only in private in the royal family and evoked sympathy for the monarchy in harsh times. Marion Cotillard shot to international acclaim with her incredible portrayal of French singer, Edith Piaf in La Vie en Rose and was acknowledged by many as the surprise winner of that year's Oscars. 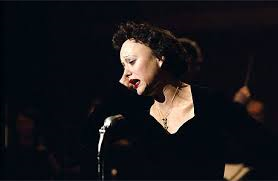 The role of Piaf was extremely dramatic as her life was marred by tragedy and Cotillard gave an incredibly powerful performance. Cotillard is also nominated for an Academy Award this year for her performance in Two Days, One Night. 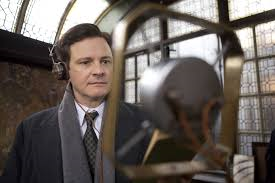 Colin Firth gave the performance of a lifetime as King George VI in Tom Hooper's The King's Speech and received the highest honour from the Academy in receiving his first Oscar. Firth's performance showed the private life of the king and the battles he fought within himself and was not only widely acclaimed, but also praised by the Queen and the royal family. There have been over 300 portrayals of Abraham Lincoln in film and television over the years, but Daniel Day-Lewis as the much loved president in Lincoln has set a new benchmark for performances. 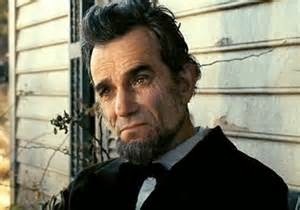 Day-Lewis became Lincoln in every way and the Academy awarded this incredibly realistic and loved performance by presenting him with his third Academy Award. Day-Lewis has been nominated for five Academy Awards and won three from those five. I hadn't taken notice of this subject before now, especially the large number of contemporary winners who portrayed actual people. Very interesting.